Following the successful “When Future And Past Collapse” by label owner himself Umwelt last year comes the long awaited debut EP of Dave Hayden aka RogueFrequency (Fundamental Bass Intelligence, TakeOver Recordings, Bi-nalog>>>Productions). Author of “Amisis”, a magical electronica 7inch in 2015 on New Flesh sublabel NFLab, the Irish genius returns to the French imprint, this time on board of the mothership, to grace us with four untouchable slaughters of his trademark! Uncompromising “Projectile”, “Fall Out”, “Solitary”, and “Decent” show no mercy and settle the talented artist as one of the leaders of the doom style! 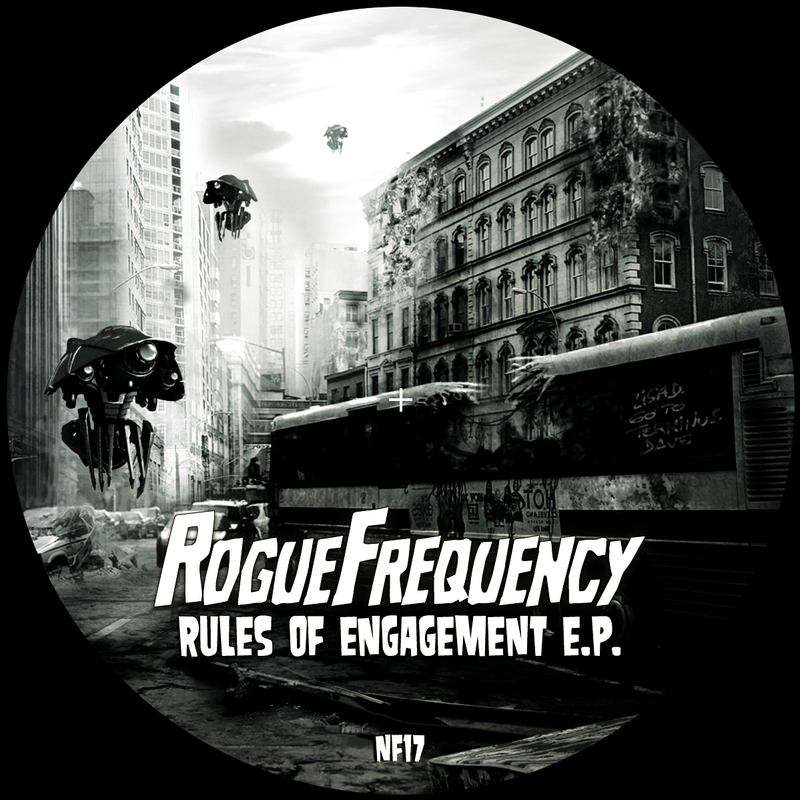 Apocalyptic “Rules Of Engagement” will probably fall under the genre tags of dark electro but the EP is so much more, half way between dance-floor mayhems and mental manipulation. Don’t miss this opportunity to foresee the gates of Hell!